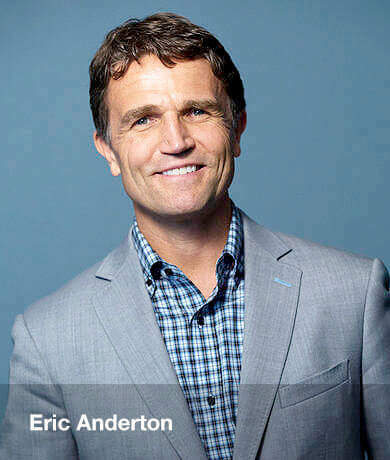 Eric Anderton has more than two decades of career and entrepreneurial business experience, alongside 25 years of public speaking, small group facilitation and one-on-one mentoring. He is a trusted leadership advisor, executive mentor and expert meeting facilitator for construction companies that range in revenue from $10 million - $1 billion. Since 2004 he has helped his clients increase profitability by clarifying their business purpose, building strategic plans, developing their best people, systematically innovating through obstacles, and executing their most important priorities. He has a BA in History and has spent almost 30 years studying ancient and modern history, leadership and strategic principles. He knows that technology changes and empires rise and fall, but the fears, frustrations, desires, and aspirations of humanity remain the same. He is a happily married father of five. He has contributed to the community as a coach of Little League and Youth Soccer. In addition, he has volunteered as a Chaplain for the California State University (Sacramento) football team.